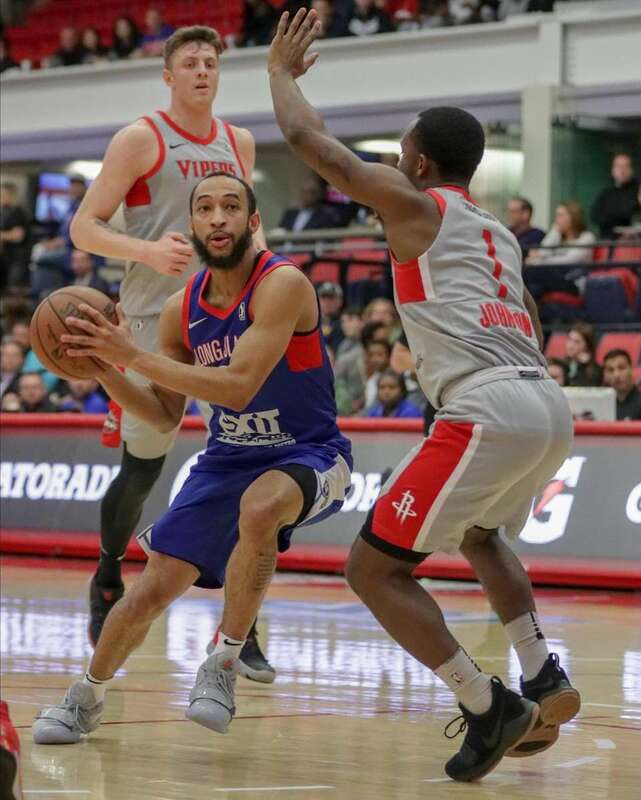 Scenes from the Island Federal Credit Union Arena at Stony Brook University, where the Long Island Nets defeated the Rio Grande Valley Vipers, 117-107, on April 7, 2019. 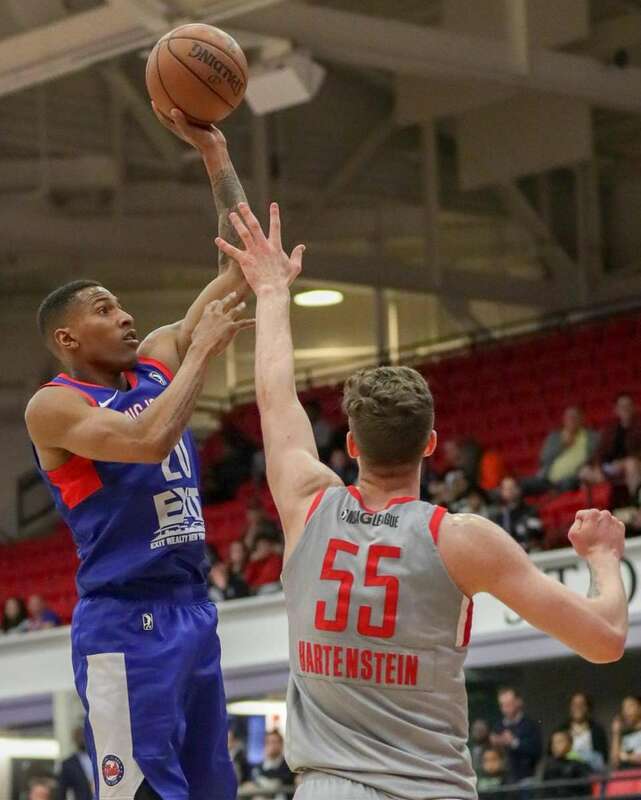 Long Island Nets guard Tahjere McCall #22 takes a shot from the outside during the first half of game one of the NBA G League championship series at Island Federal Credit Union Arena, Stony Brook University on April 7, 2019. 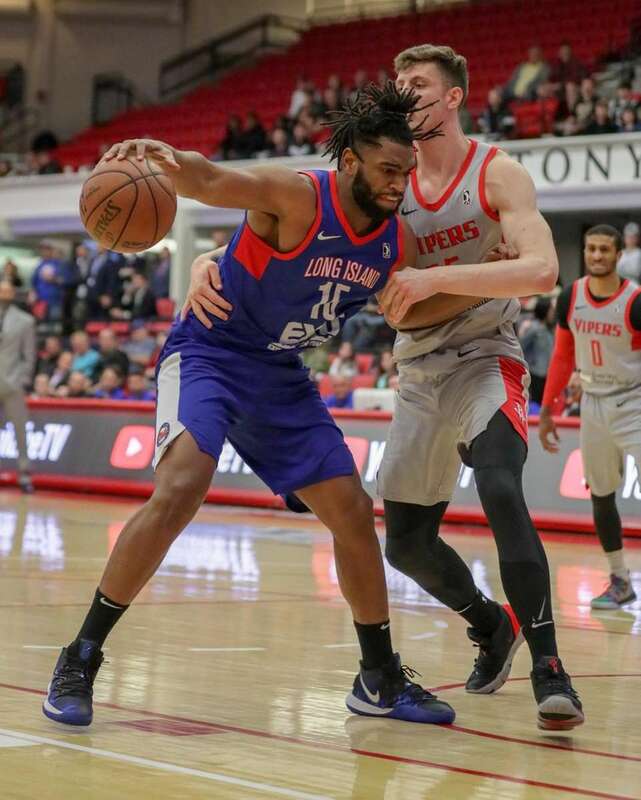 Long Island Nets Center Alan Williams #15 drives to the net while defended by Rio Grande Valley Vipers Isaiah Hartenstein #55 during the first half of game one of the NBA G League championship series at Island Federal Credit Union Arena, Stony Brook University on April 7, 2019. 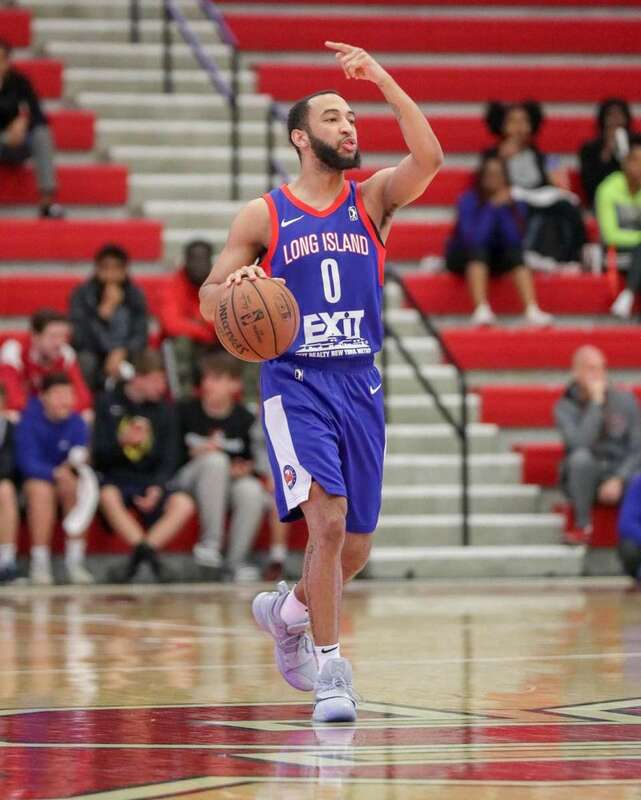 Long Island Nets guard Jordan McLaughlin #0 directs the offense during the first half of game one of the NBA G League championship series at Island Federal Credit Union Arena, Stony Brook University on April 7, 2019. 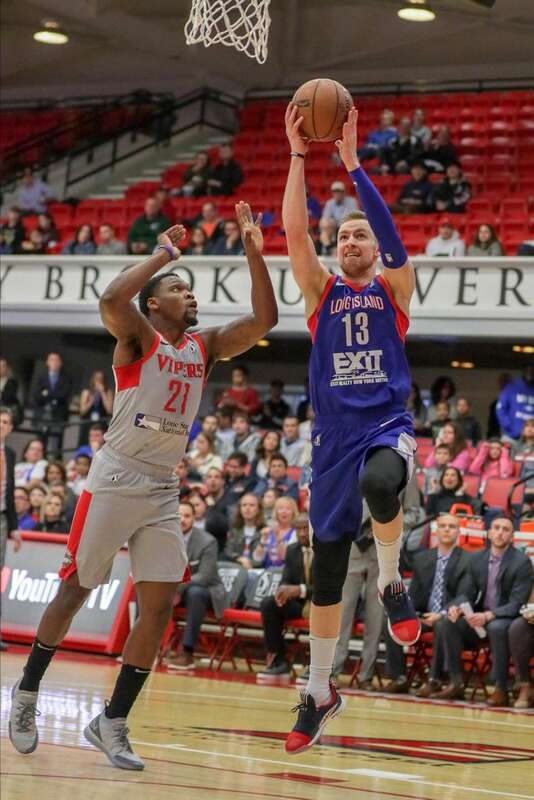 Long Island Nets Guard Dzanan Musa #13 goes up for a shot over Rio Grande Valley Vipers Michael Frazier #21 during the first half of game one of the NBA G League championship series at Island Federal Credit Union Arena, Stony Brook University on April 7, 2019. 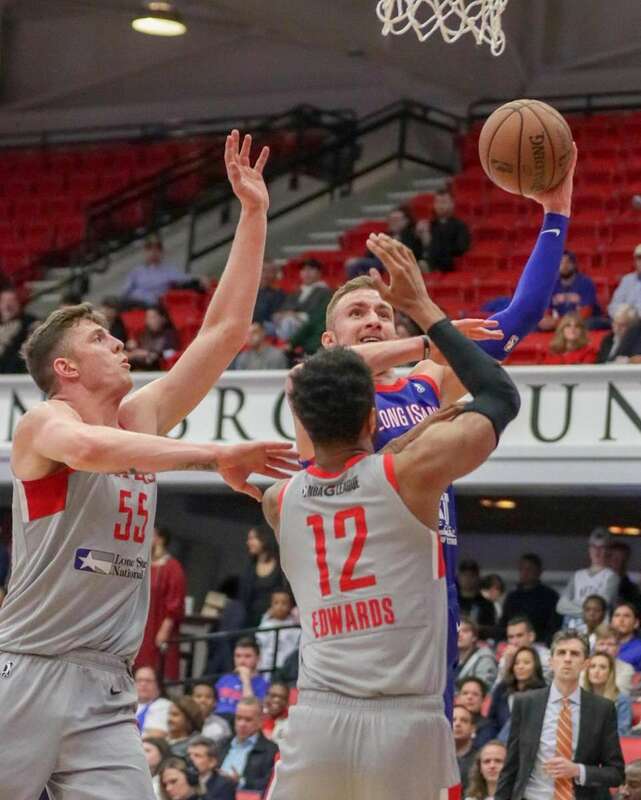 Long Island Nets forward Dzanan Musa #13 takes a shot over Isaiah Hartenstein #55 and Vincent Edwards #12 of the Rio Grande Valley Vipers during the first half of game one of the NBA G League championship series at Island Federal Credit Union Arena, Stony Brook University on April 7, 2019. 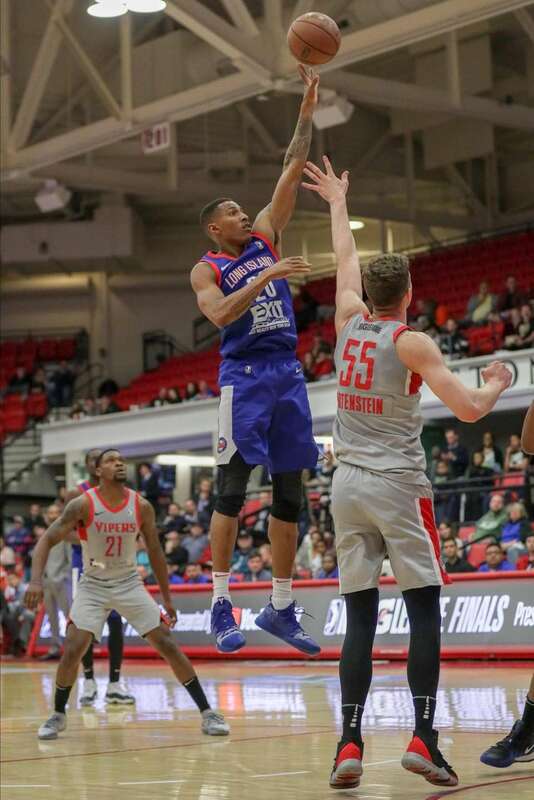 Long Island Nets forward Thomas Wimbush #20 takes a shot over Rio Grande Valley Vipers Isaiah Hartenstein #55 during the first half of game one of the NBA G League championship series at Island Federal Credit Union Arena, Stony Brook University on April 7, 2019. 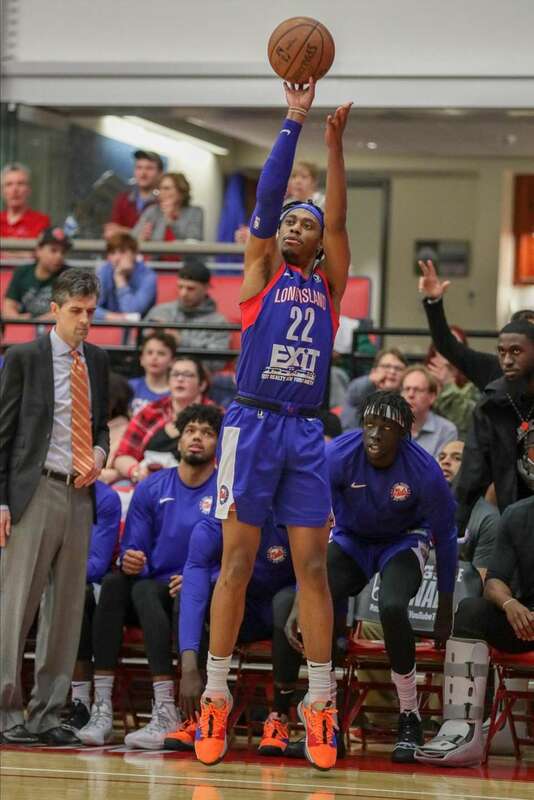 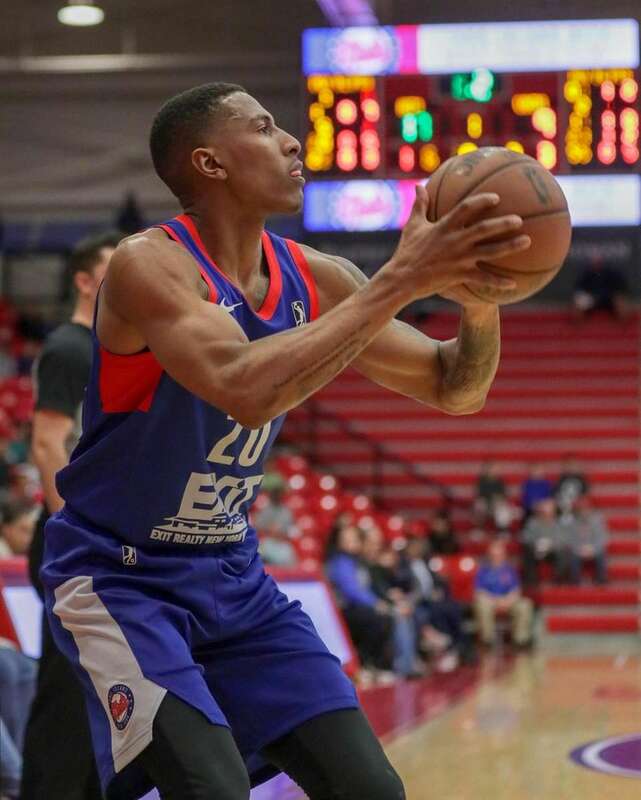 Long Island Nets forward Thomas Wimbush #20 sets to take a three point shot during the first half of game one of the NBA G League championship series at Island Federal Credit Union Arena, Stony Brook University on April 7, 2019. 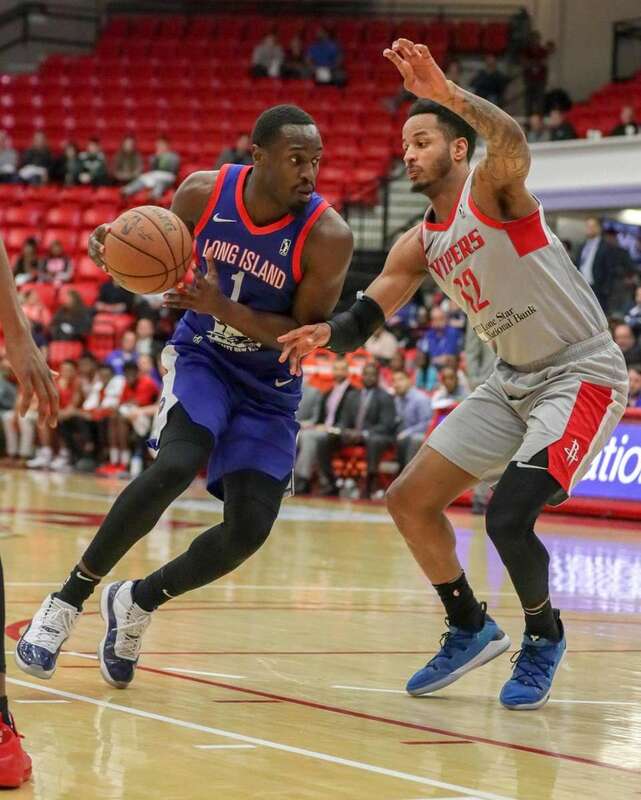 Long Island Nets forward Theo Pinson #1 drives on the net past Rio Grande Valley Vipers Vincent Edwards #12 during the first half of game one of the NBA G League championship series at Island Federal Credit Union Arena, Stony Brook University on April 7, 2019. 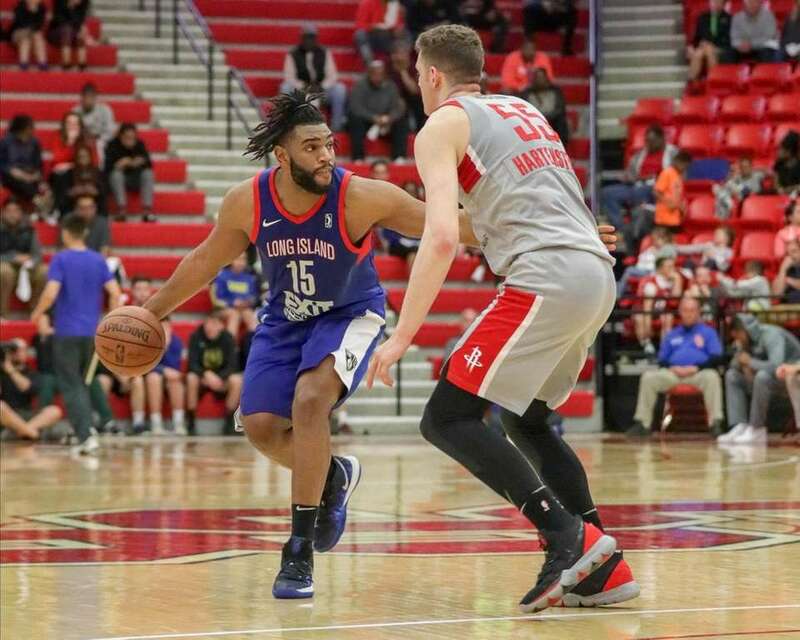 Long Island Nets center Alan Williams #15 moves the ball up court while defended by Rio Grande Valley Vipers Isaiah Hartenstein #55 during the first half of game one of the NBA G League championship series at Island Federal Credit Union Arena, Stony Brook University on April 7, 2019. 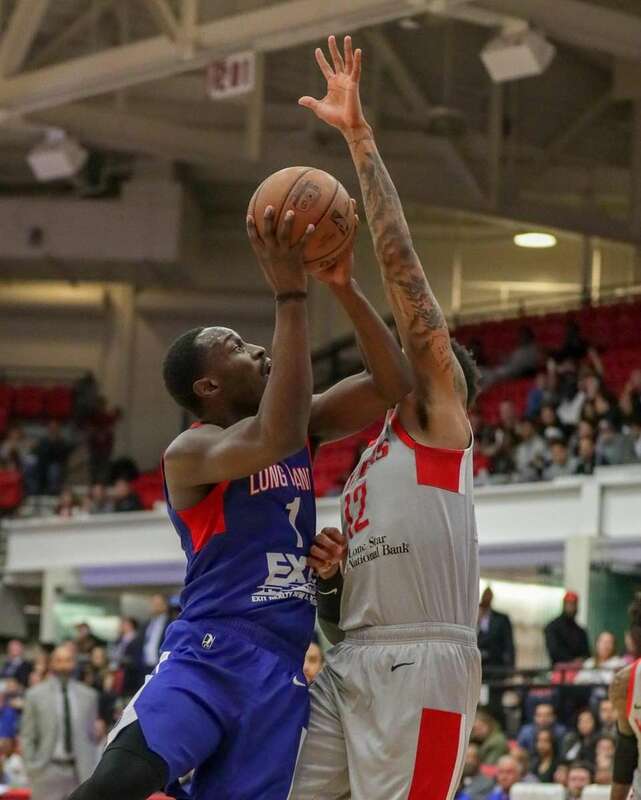 Long Island Nets forward Theo Pinson #1 takes a shot over Rio Grande Valley Vipers Vincent Edwards #12 during the first half of game one of the NBA G League championship series at Island Federal Credit Union Arena, Stony Brook University on April 7, 2019. 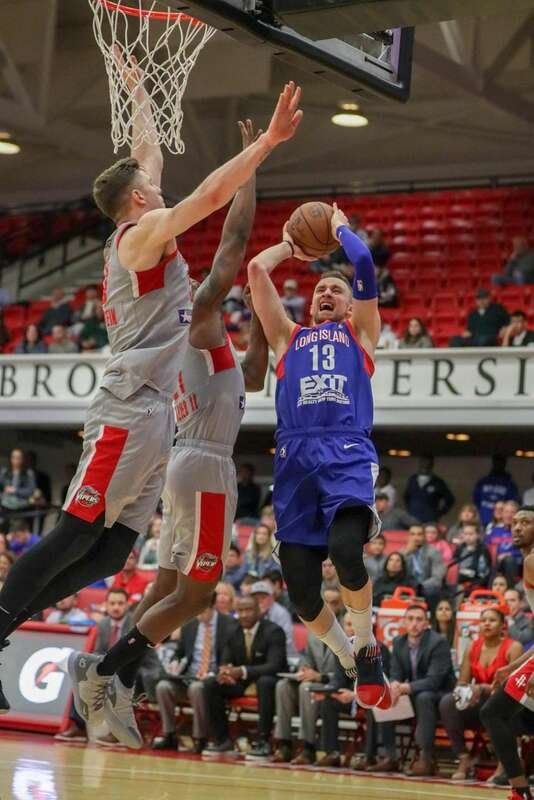 Long Island Nets guard Dzanan Musa #13 toes up for a shot while defended by Michael Frazier #21 and Isaiah Hartenstein #55 during the first half of game one of the NBA G League championship series at Island Federal Credit Union Arena, Stony Brook University on April 7, 2019. 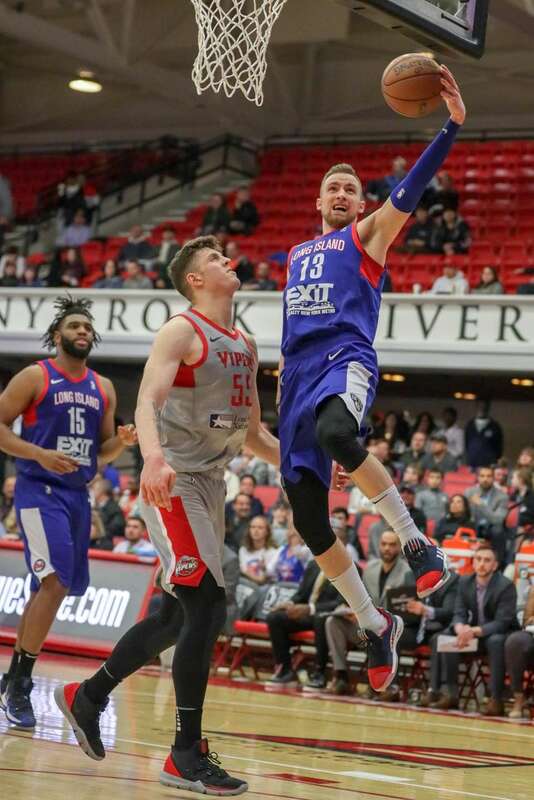 Long Island Nets guard Dzanan Musa #13 goes up for a shot over the Rio Grande Valley Vipers' Isaiah Hartenstein #55 during the first half of the first game of the NBA G League championship series at Island Federal Credit Union Arena at Stony Brook University on Sunday. 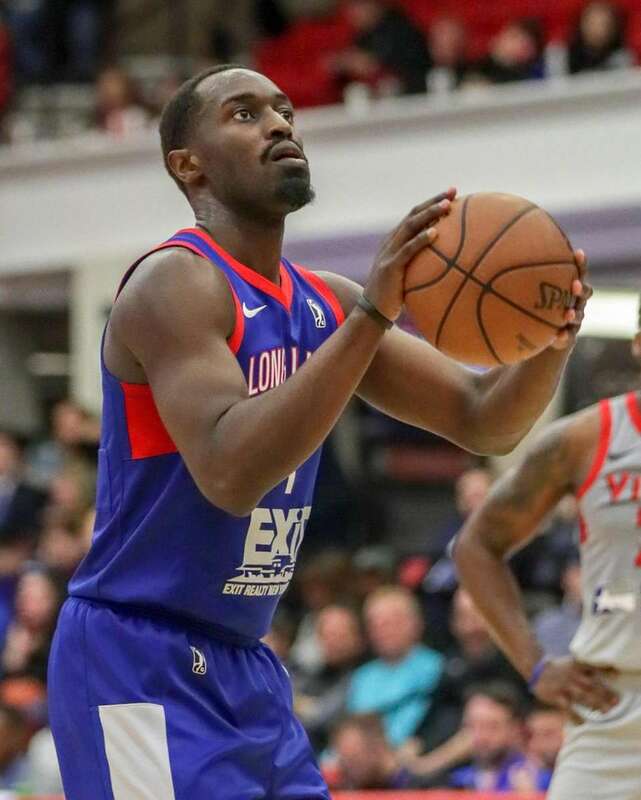 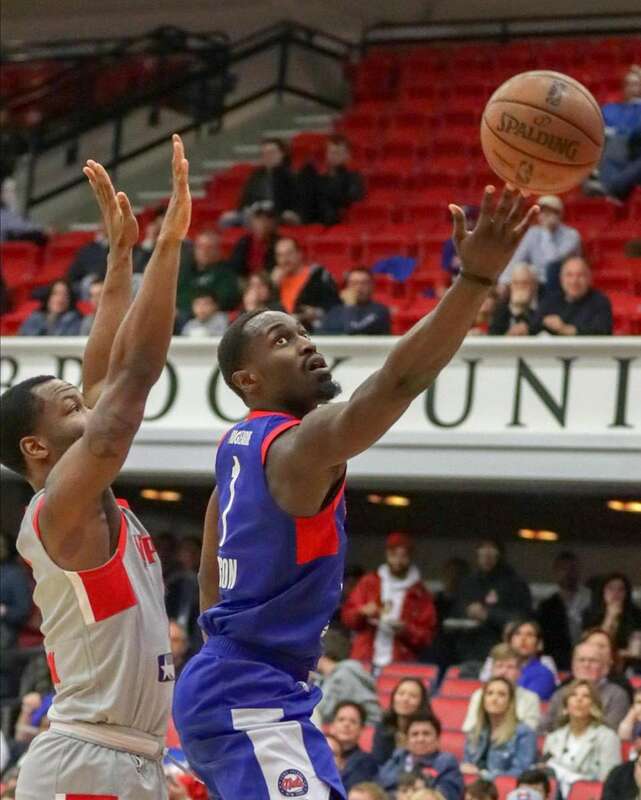 Long Island Nets forward Theo Pinson #1 takes a foul shot during the first half of game one of the NBA G League championship series at Island Federal Credit Union Arena, Stony Brook University on April 7, 2019. 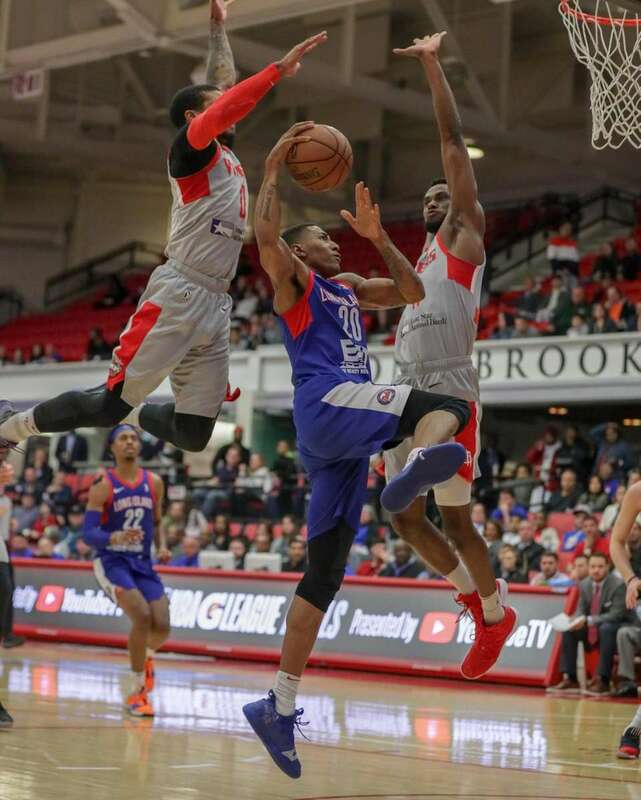 Long Island Nets forward Thomas Wimbush #20 drives on the net while defended by Rio Grande Valley Vipers Roger Moute a Bidias #11 during the first half of game one of the NBA G League championship series at Island Federal Credit Union Arena, Stony Brook University on April 7, 2019. 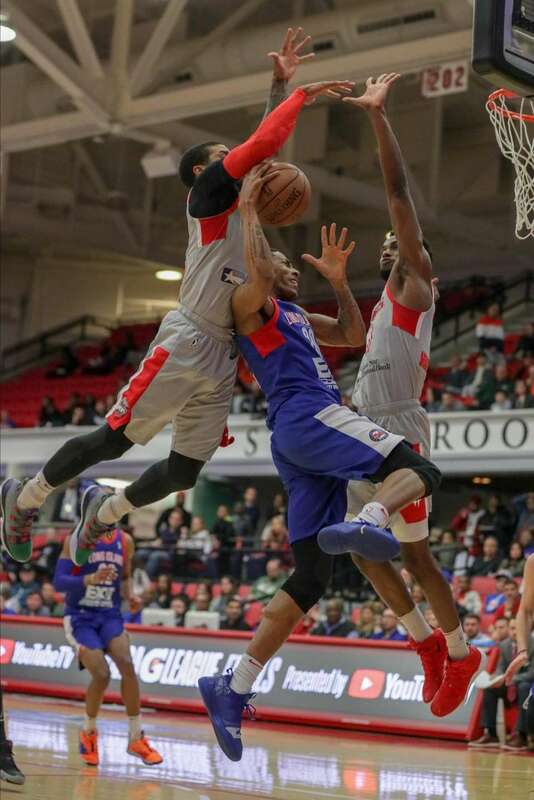 Long Island Nets forward Thomas Wimbush #20 goes up for a shot between Gary Payton II #0 and Roger Moute a Bidias #11 and draws a foul during the first half of game one of the NBA G League championship series at Island Federal Credit Union Arena, Stony Brook University on April 7, 2019. 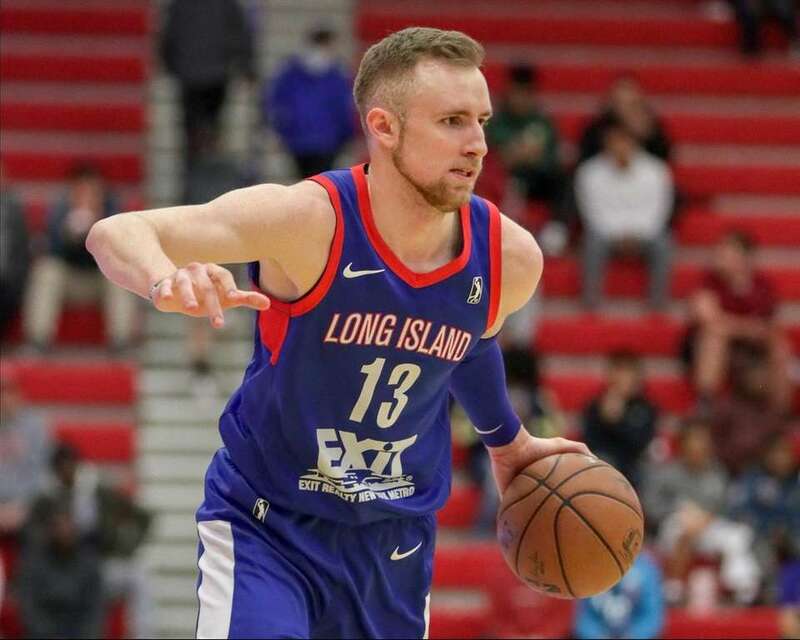 Long Island Nets guard Dzanan Musa #13 moves the ball up court during the first half of game one of the NBA G League championship series at Island Federal Credit Union Arena, Stony Brook University on April 7, 2019. 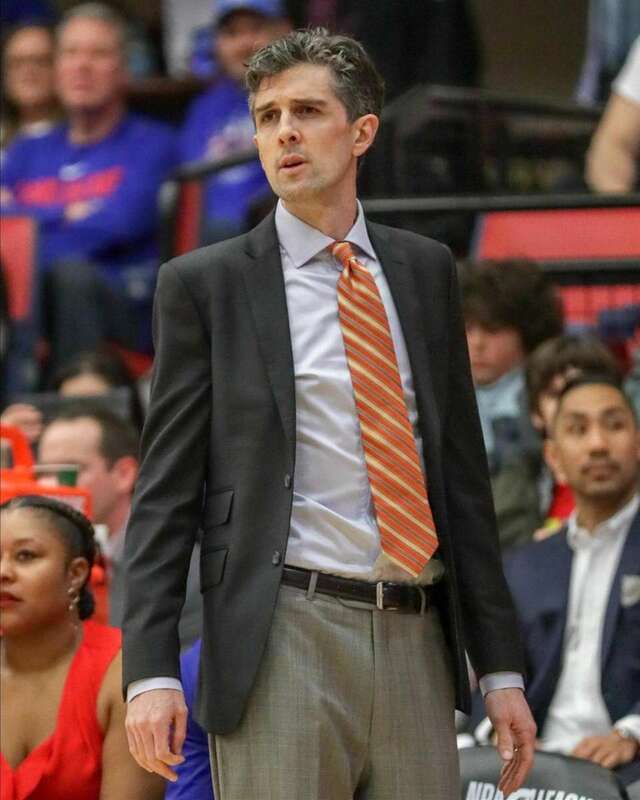 Long Island Nets head coach Will Weaver watches from the sideline during the first half of game one of the NBA G League championship series at Island Federal Credit Union Arena, Stony Brook University on April 7, 2019. 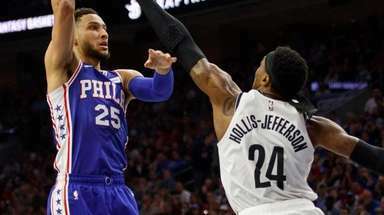 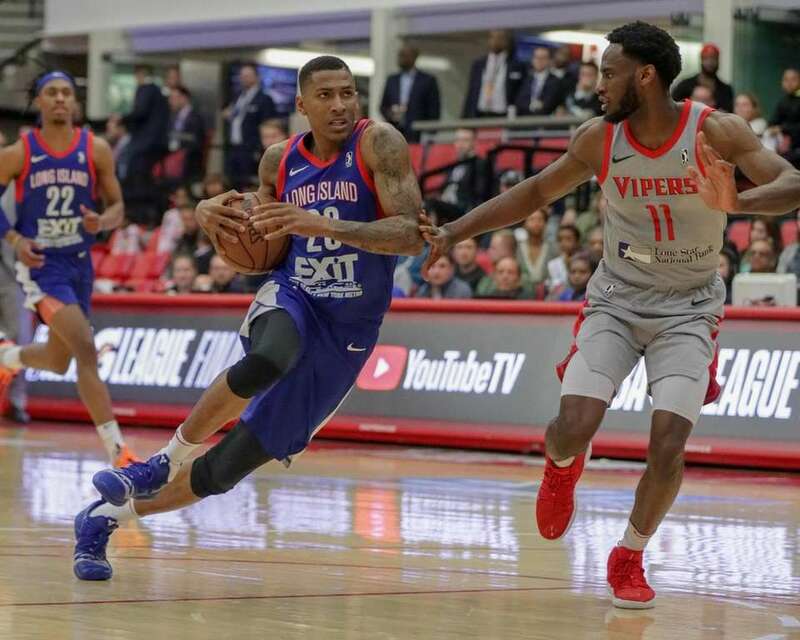 Long Island Nets guard Jordan McLaughlin #0 goes up for a shot while defended by Rio Grande Valley Vipers Jordan Johnson #1 during the first half of game one of the NBA G League championship series at Island Federal Credit Union Arena, Stony Brook University on April 7, 2019. 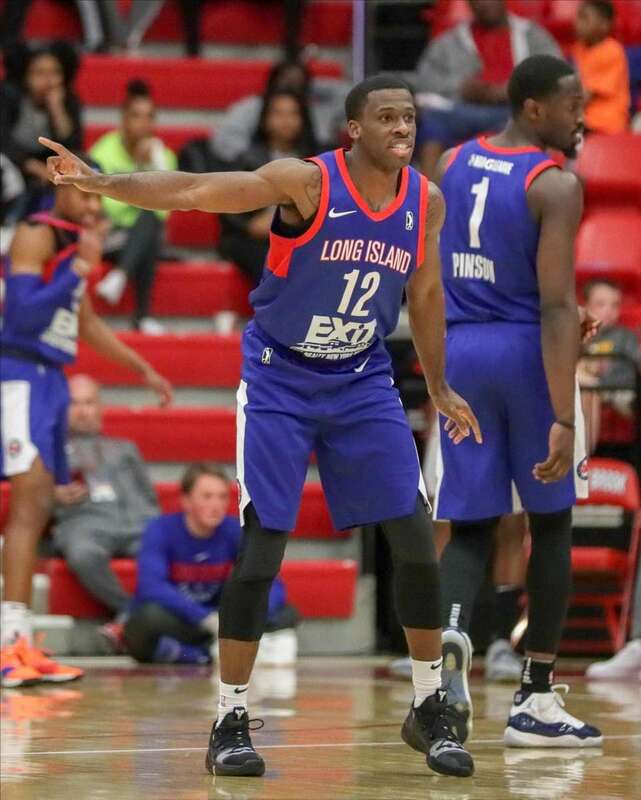 Long Island Nets guard Josh Newkirk #12 directs the defense during the first half of game one of the NBA G League championship series at Island Federal Credit Union Arena, Stony Brook University on April 7, 2019. 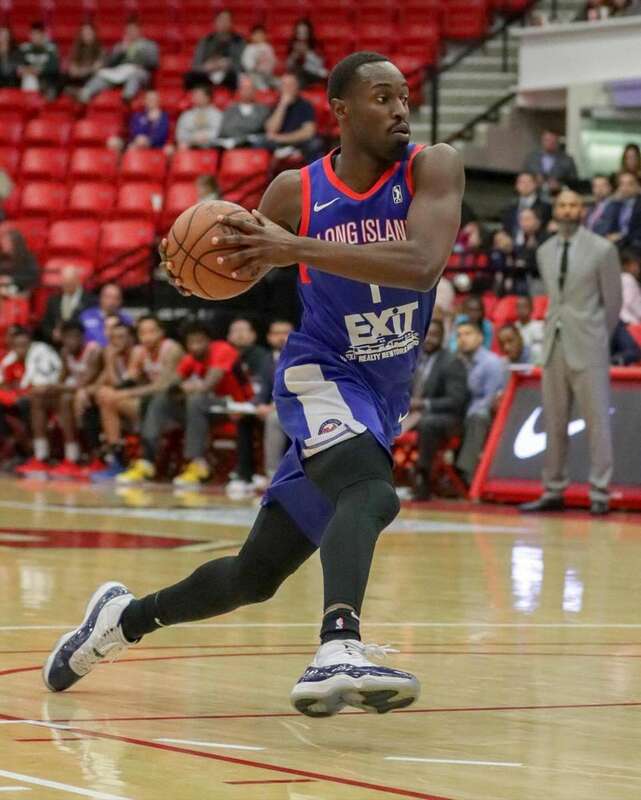 Long Island Nets forward Theo Pinson #1 drives on the net during the first half of game one of the NBA G League championship series at Island Federal Credit Union Arena, Stony Brook University on April 7, 2019.